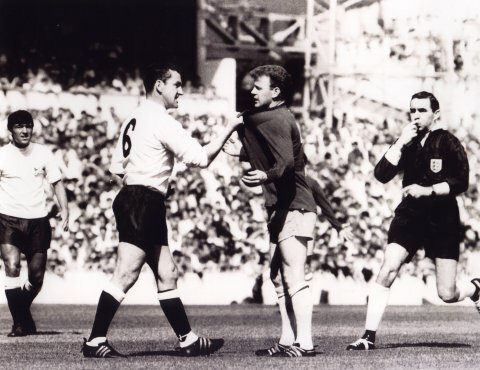 Billy Bremner protests his innocence to Dave Mackay in a typical tempestuous bustup in their playing days. Terry Venables looks on. Both players later became Rovers managers.